Yellow jacket is the common name in North America for predatory wasps of the genera Vespula and Dolichovespula. 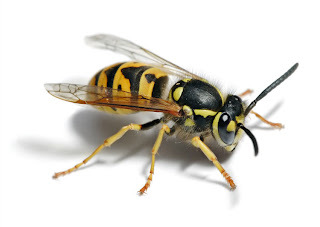 Members of these genera are known simply as "wasps" in other English-speaking countries. 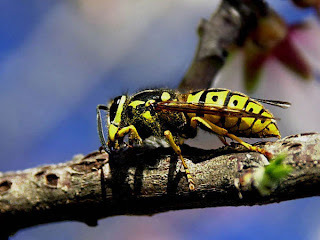 Most of these are black and yellow; some are black and white (such as the bald-faced hornet, Dolichovespula maculata), while others may have the abdomen background color red instead of black. 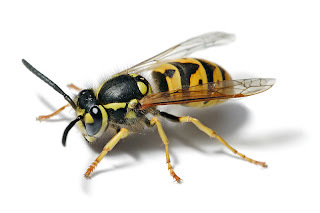 They can be identified by their distinctive markings, small size (similar to a honey bee), their occurrence only in colonies, and a characteristic, rapid, side to side flight pattern prior to landing. All females are capable of stinging. 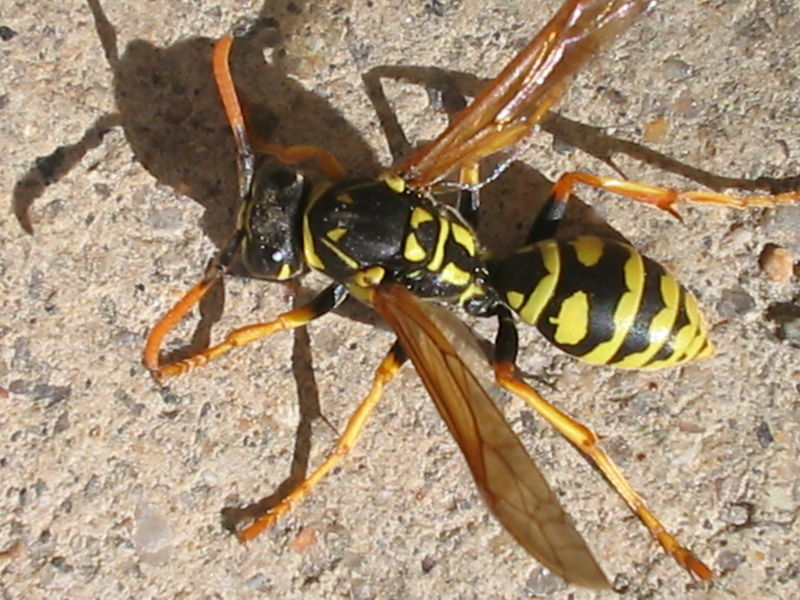 Despite having drawn the loathing of humans, yellow jackets are in fact important predators of pest insects.